Lalropui Famhoite, Army Chief of Hmar People’s Convention- Democracy (HPC (D) ) and chairman United People’s Front (UPF) passed away on Monday night in Imphal due to suspected hypertension attack at around 11:00 PM. Ropui who has been spearheading the HPC(D) operatives in Assam, Manipur and northern Mizoram suffered hypertension attack on Monday afternoon in Churachandpur. He fell unconscious, after which he was rushed to Mothers’ Care Hospital, Sagolband in Imphal where he was in intensive care unit for treatment. Sources said the Hmar insurgent leader, who also heads the union of tribal insurgent groups from Churachandpur district in Manipur under the banner of United Peoples Front did not regain consciousness before his death. 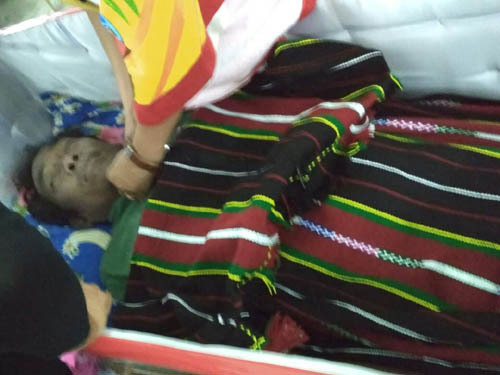 Lalropui Famhoite’s mortal remains was brought to his native village of Saikot near Churachandpur on Monday night, his final rites were performed by the church today. Mizoram Home Minister R Lalzirliana sent a letter of condolence on Tuesday, he stated that Lalropui was a leader in his own right, and his sudden demise would leave a big hole in the Hmar movement.